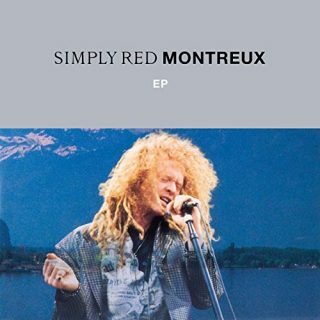 In 1992 Simply Red performed at the famous Montreux Jazz Festival. 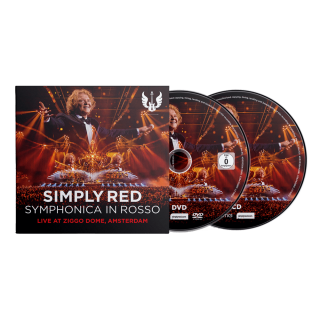 We are excited to announce the release of ‘Simply Red – Symphonica In Rosso’, the live album and DVD out November 23rd. Last October Simply Red played three very special shows at Amsterdam’s Ziggo Dome accompanied by a 40-piece orchestra. The set list beautifully showcased their remarkable career including the classic hits ‘Holding Back The Years’, ‘Stars’, ‘Fairground’ and ‘If You Don’t Know Me By Now’. Ahead of that release – for one night only on November 12th, fans will have a unique opportunity to experience the concert in cinemas across the world on the big screen in stunning 5.1 surround sound. The physical release includes a hard back Deluxe format with 20 tracks across a double live album and live concert DVD (only available HERE). The standard version, available in all good retailers, includes 15 tracks on CD plus live concert DVD, and the digital release includes all 20 live audio tracks from the night with the Concert Film also being available to buy and download.